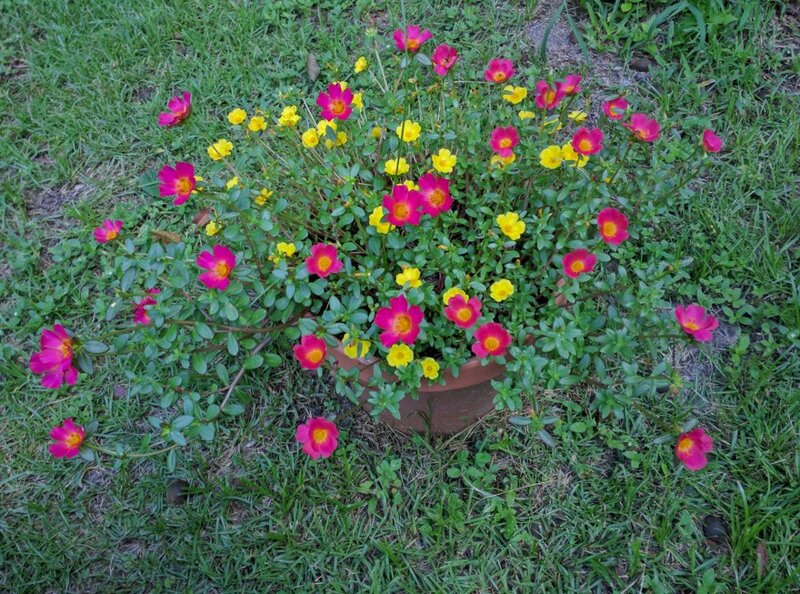 When I bought this purslane, it was all yellow flowers. Down in the bottom of my cart were two little stems with red flowers. "Take those home and plant them," the cashier said, "Free of charge. They'll probably be fine." Now I've got an almost even blend of red and yellow flowers. The pollinators love them all.